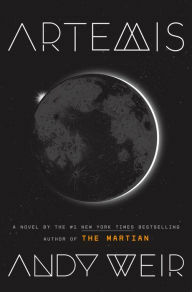 This week my teaser comes from Artemis by Andy Weir. I received this from NetGalley and just couldn’t resist reading more or less immediately. The story is pretty much about a heist in a city on the moon, and it’s sooo good. I haven’t read the Martian so can’t compare but it’s very clever, funny and has just the right amount of science and techie stuff. It’s a simple idiot-proofing scheme that’s very effective. But no idiot-proofing can overcome a determined idiot. I really want to the read this – even without the teaser. I loved The Martian. I hope you enjoy when you do. I enjoyed the movie too, which is rare with books I love. I wonder if people just wanted more of the same? Very possibly. Also when something is your favourite it’s very difficult for anything else to live up to expectations. Sounds great and I really love the teaser. Here are mine. The teaser sounds amazing. I hope you enjoy this book! Love that teaser! Artemis is definitely one of my most anticipated releases right now. Lucky you for getting a copy! Although this isn’t a genre I’d normally choose, clever and funny are always a winning combination- and the teaser is great! I can be a bit funny about sci fi if it’s too techie but while there is quite a lot it’s worked in quite naturally and is very readable.